The Resource Silo increases the size of the maximum resource donation players are able to send to the alliance city. It also provides a log showing recent donations. 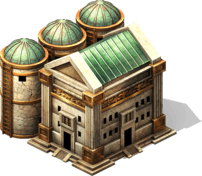 In the future this building may also protect your resources from attack. Upgrading this building increases in the donation capacity per march.